Poet Pauline Kirk writes in the Introduction, "Born at Bliss Gate, Simon Fletcher grew up on a smallholding, ‘Gladderbrook’, and developed a deep love for the forest. With a naturalist’s clarity, he describes its tawny owls and butterflies, ‘moon daisies’ and wild irises. "Yet the poems are not simply nostalgic. The complexities of adult relationships are movingly portrayed." 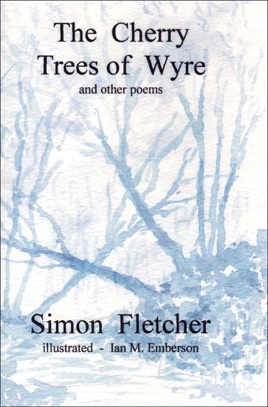 Since The Cherry Trees of Wyre first appeared, Simon has published several more collections of poetry, notably The Occasions of Love (also published by Pennine Pens) admired by Ted Hughes for “the deft ﬂuency, the economy, the pure tone, the pang”. Simon's also co-edited the Poetry of Shropshire with Jeff Phelps (Offa's Press) which has proved a popular anthology. Today, Simon still lives in Shropshire, is the manager of Offa’s Press, teaches poetry and has poems regularly published in magazines and journals. 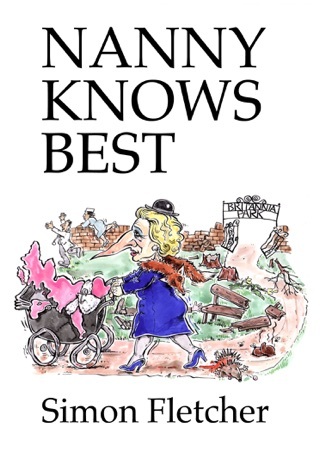 The Cherry Trees of Wyre were first published in 1981 and this eBook version now benefits from being illustrated throughout by artist, writer and poet, Ian Emberson (1936-2013). Ian's publications included Yorkshire Lives & Landscapes, Seaport at Sunrise: an e-novel, Pirouette of Earth: a novel-in-verse, The Zig-Zag Path: a long illustrated narrative poem, a study of Charlotte Brontë’s novels, and several collections of poetry. His one-actor play Cockerel Crowing Dawn, based on the life of the Russian composer Mussorgsky was performed at Bradford Playhouse and elsewhere.